New York City is unique compared to any where in the world. Building in this city requires that you understand The City as part of the building process. The instructors at Safety Net Inc have the knowledge, skills, and experience to guide you successfully and honestly through this challenging environment. Safety Net Inc is a New York City Department of Buildings approved training provider. All our training staff are OSHA Authorized Instructors. 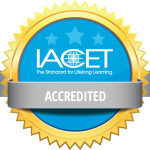 Safety Net Inc. is IACET accredited on their own, and issues CEUs (Continuing Education Units) for all its classes. We work in conjunction with New York City College of Technology located in Downtown Brooklyn giving our students the very best services they can find in this big city. SAFETY NET INC ARE INDUSTRY EXPERTS IN BOTH SUSPENDED & SUPPORTED SCAFFOLDS IN NYC! THIS TRAINING CAN BE ESPECIALLY HELPFUL TO THOSE IN THE WATERPROOFING AND RESTORATION MARKETS! 4hr Mast Climber User Course – This course is scheduled on request for those who use Mast Climbers to access their work areas. All workers must be trained prior to work. 16hr Rigging Worker Course – This is a course requirement for an individual who is not employed by a licesensed rigger and performs rigging or signaling work ing conjunction with the hoisting or lowering of articles on the outside of a building with hoisting equipment. This can be taken instead of the national NCCCO Certification. – Contact us to schedule the training and pricing. 8hr Rigging Worker Refresher – The 16hr Rigging Worker Course requires this 8hr Refresher Course every 4 years. – Contact us to schedule the training and pricing. 32hr Rigging Supervisor – This course is a requirement for an idiviudal who is not a licensed rigger or a designated foreman of a licensed rigger to supervise the hoisting or lowering of articles on the outside of a building with hoisting equipment. In lieu of completing this course and idivual may instead possess a department approved national rigging certification. (NCCCO) – Contact us to schedule the training and for pricing. 16hr Rigging Supervisor Refresher – The 32hr Rigging Supervisor Courses requires this 16hr Refresher Curse every 4 years. – Contact us to schedule the training and for pricing. We offer a comprehensive variety of training and classes to suit the needs of construction workers in the New York City market. Please contact us at 347-604-2121 or Tim@safetynettrainer.com for questions or more details.